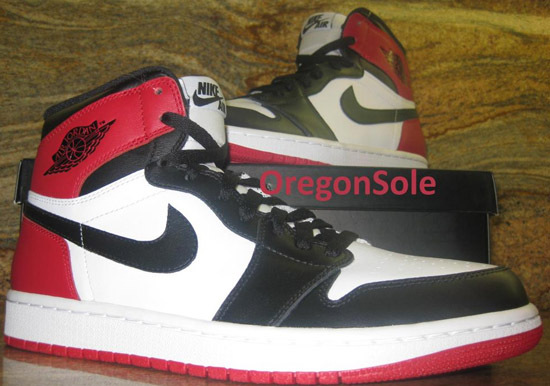 After releasing as a "KO" in 2012, the "Black Toe" Air Jordan I is back and this time, in OG form. Check out the auction here. This original Air Jordan I colorway was retroed for the first time in 2006 as a part of the Jordan Old Love, New Love Package. 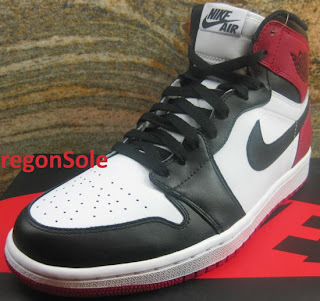 In 2012, they returned by as an Air Jordan I Retro KO High for the first time. With two retros under their belt, they still have yet to be re-released in their original form. That is, until now. 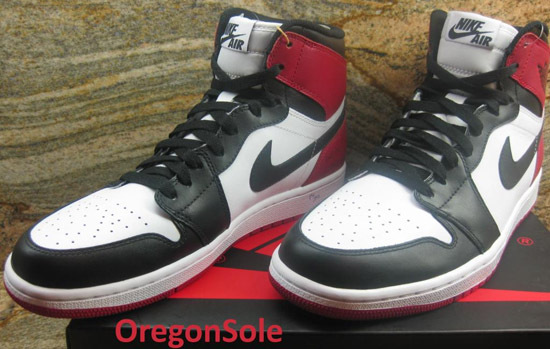 If you combined the 2006 and 2012 releases, you would almost get a true to the OG "Black Toe" Air Jordan 1 Retro. 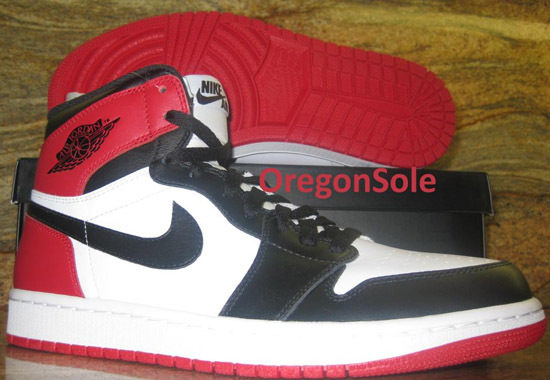 This year, you don't have to do that as they are set to release once again and this time in OG fashion. 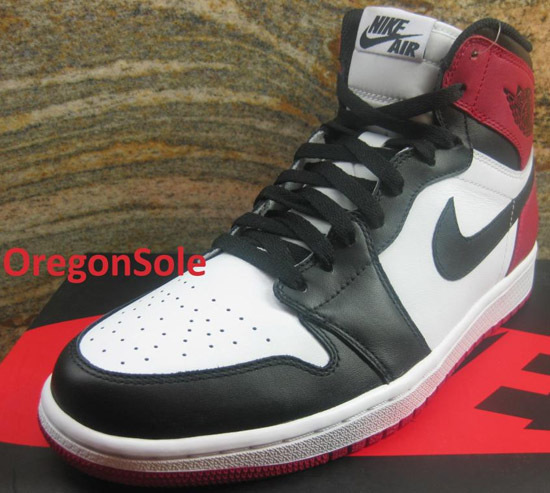 Nicknamed the "Black Toe" due to the area around the toe box being black, this Air Jordan 1 Retro High OG features "Nike Air" on the tongue tag just like the "Knicks" colorway released in January 2013. They also come in an OG-style "Nike" box for an added touch of flavor. 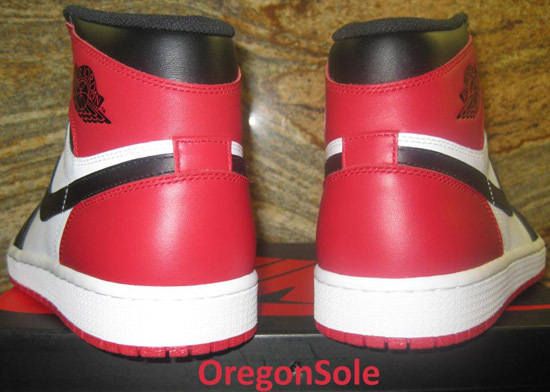 A limited release, they will be available at select Jordan Brand accounts worldwide on Saturday, May 25th, 2013 retailing for, $140. Enjoy the images below of the "Black Toe" Air Jordan 1 Retro High OG in white, black and gym red. Those of you looking to grab these when they release, be sure to check in with your local spots to see if they will be receiving them. If you wear a size 9 or would like to add these to your collection, click here to buy them on eBay.